No, these are not cancerous and they have virtually no risk of progressing to skin cancers. There is no medical necessity for these to be removed. However, seborrhoeic keratosis can be unsightly or get itchy or sore. What are the best methods to remove these? We believe in providing most effective and cosmetically acceptable treatments for skin conditions. 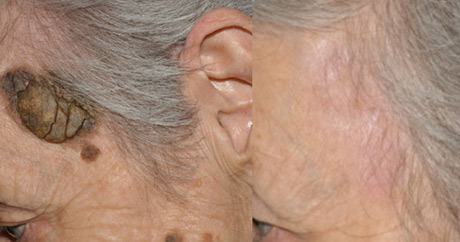 For seborrhoeic keratoses, we offer laser treatment which gives the best cosmetic outcome and is most effective.